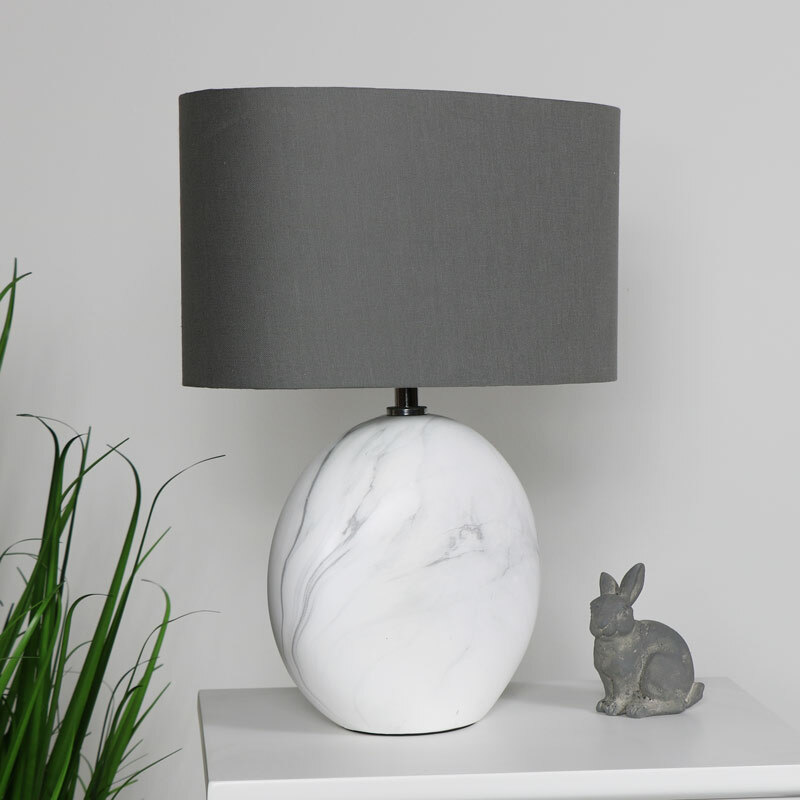 Beautiful ceramic table lamp with grey & white marble effect base and grey cotton shade. Stylish lighting for the living room, hallway or bedroom. Round base with marble print and an oval shade. This lamp will make a stylish addition to any modern, contemporary styled home decor. Mains operated with handy inline switch. A great addition to our selection of lamps and lighting. 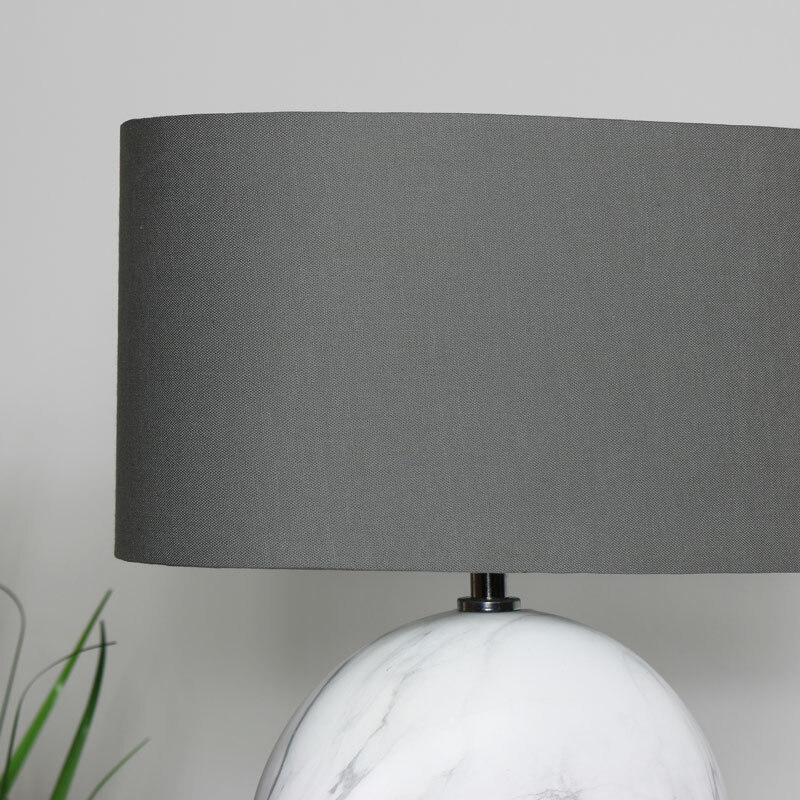 Beautiful ceramic table lamp with grey & white marble effect base and grey cotton shade. Stylish lighting for the living room, hallway or bedroom. 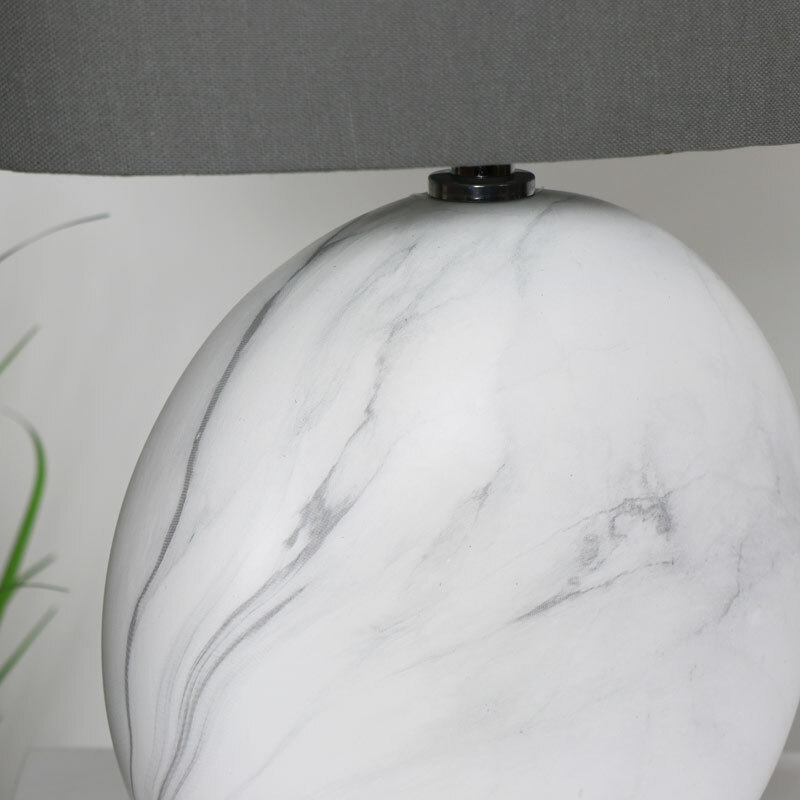 Round base with marble print and an oval shade. This lamp will make a stylish addition to any modern, contemporary styled home decor. Mains operated with handy inline switch. A great addition to our selection of lamps and lighting. Ceramic base with marble effect print. The lamp is mains operated with inline switch and standard UK plug, takes an E27 GLS Max 60W Bulb (not included). Our range of home lighting is ever growing and with different shapes, styles and themes we are sure you'll find the right one to light up your home.